Inspired by the fairy tale “The Snow Queen” by Hans Christian Andersen, Frozen tells the story of newly crowned Queen Elsa (Idina Menzel) who accidentally curses her home in infinite winter, and how her sister Anna (Kristen Bell) sets out to change the weather condition. On her journey, she teams up with a mountain man, Kristoff (Jonathan Groff), his reindeer, and Olaf (Josh Gad), a snowman. Frozen is a hit-and-miss film. In terms of its soundtrack, there are some great songs, with ‘Let it Go’ and ‘For the First Time in Forever’ being the highlights. 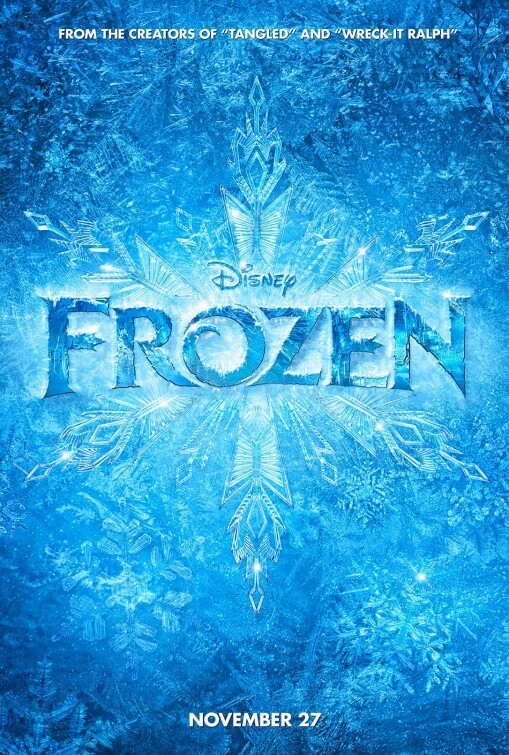 However, there are some truly poor and forgettable songs in Frozen, including ‘Love Is An Open Door’ and ‘Fixer Upper, and the soundtrack basically sets the tone for the entire film. There are some really great moments, especially with the amazing quality of the animation and the character of Anna, but then there aspects of the film that really let it down, including some of the dialogue, which feels too cheesy, even for a Disney film, and there some poor, underdeveloped characters, including the ‘villain’ of the film Hans. While not the worst Disney film, Frozen is very disappointing, especially after the hype that has surrounded the film since its release suggesting that this was one of the best Dinsey films to date. I feel that even though there are some great scenes in Frozen, ultimately, the film feels like a missed opportunity.